The good news: By choosing the right place, working with the current building owner and having a knowledgeable team in place, it’s possible not to pay rent before the license is approved. MJ companies in tight real estate markets likely will encounter landlords who aren’t motivated to work with them. But there are ways to mitigate the upfront costs, even in such a market. And, when an entrepreneur makes the right moves, the savings can be substantial. “In Illinois, our rent was $9,500 a month (for a medical medicinal dispensary), and we didn’t pay any rent during the year we spent waiting for our license to be approved,” said Brian Fox, managing partner of St. Louis-based Greene Fox Enterprises. Fox successfully used that strategy in Maryland, where he is CEO of Cannavations. 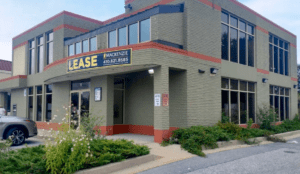 The company recently opened medical marijuana dispensaries in Maryland but was able to avoid paying rent during its one-year waiting period for license approval.